There’s something special about ringing in the New Year. The celebration, the anticipation of the countdown, and the festivities of the evening all get kids excited beyond words. 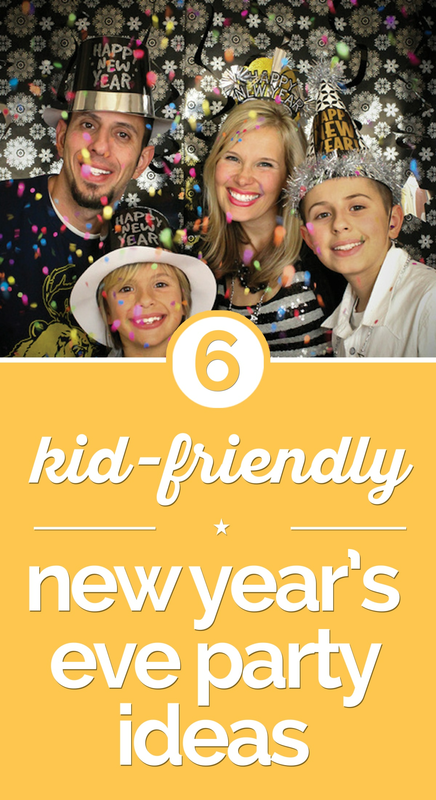 But “New Year’s Eve party with kids” isn’t a phrase many people put together. But I believe it can be done and be a ton of fun. Make this year’s experience one your family will never forget, and in the process create some new traditions along the way. 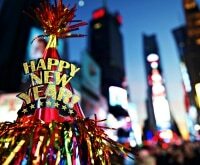 From party activities to age-appropriate drinks, here’s six kid- and teen-friendly New Year’s Eve party ideas. 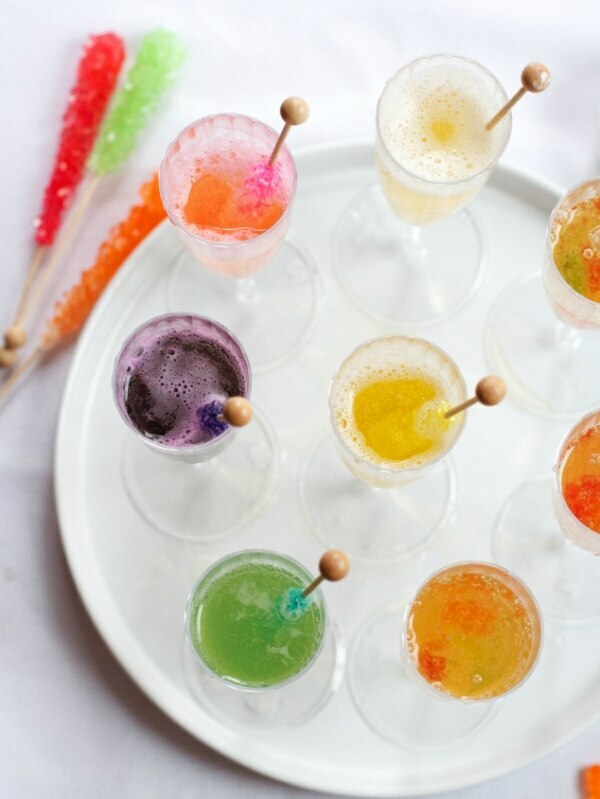 Looking for some bubbly cocktails to serve to your adult party guests? 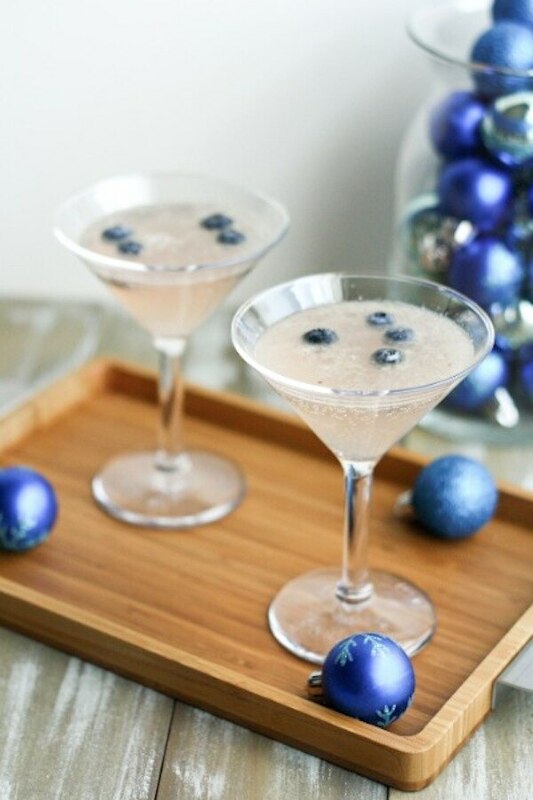 Try these 6 fabulous champagne cocktails, and don’t forget the finger food! 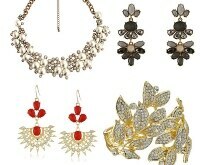 New Year’s Eve is all about the sparkle and shine! 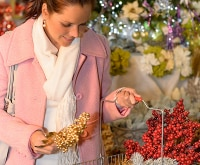 To set a mood, go for gold and silver balloons, streamers, and tablecloths. 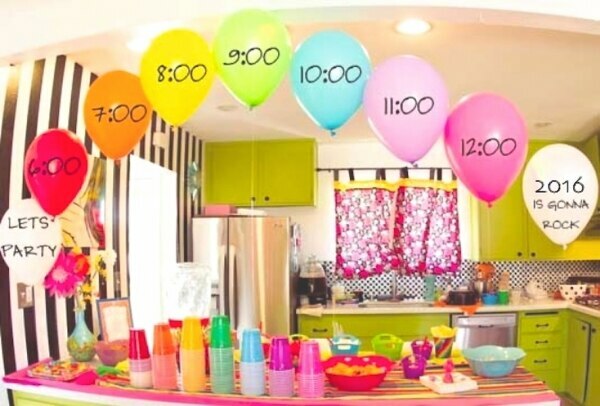 For festive and functional decor, string together a set of balloons labeled with the hours of the evening. Fill them with paper confetti and glitter and let the kids pop each balloon as the evening counts down. You can also put a note inside each balloon so when it’s popped it announces the activity for the hour! Bake cookies, play a game, sing a song — have some fun! Party hack: If you don’t have helium, simply hang the balloons upside down. Who doesn’t love the opportunity to act a little silly? 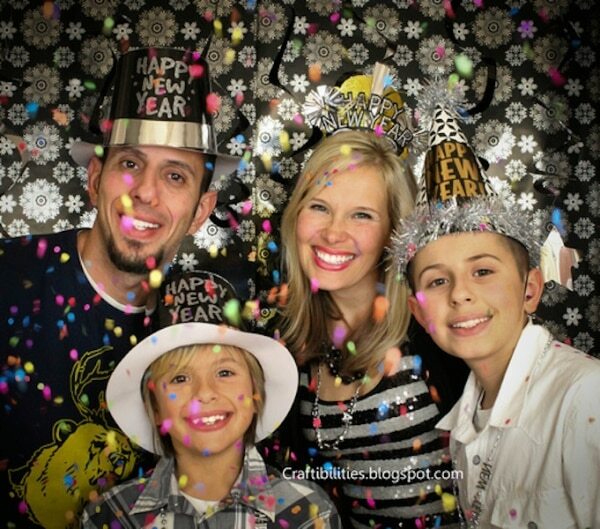 Setting up a photo booth will have the kids Snapchatting their way through the night. Teens can use items they own or you can print props online. Here’s a quick and easy backdrop that will take minutes to set up but will provide hours of fun. For great made-ahead props, Oriental Trading Company has a perfect selection for you to add to that next Amazon Prime order. 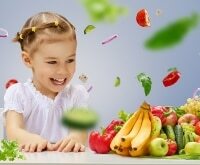 Kids and teens don’t want to balance a plate and utensils — they want to have fun with finger food! 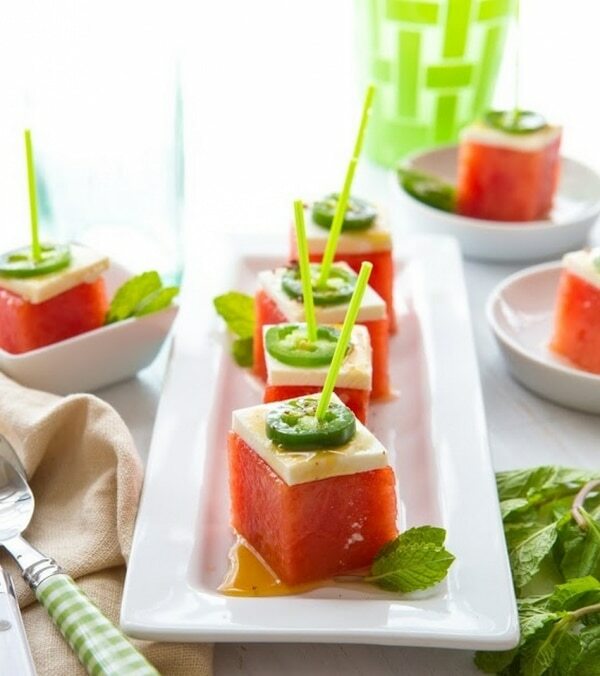 So skip the messy buffalo wings and dips, these simple and satisfying one bite appetizers make for a perfect party menu. The kids may not make it to see the ball drop, but they can still have some fun and enjoy a little sparkly party drink to make the night special. For younger kids, who doesn’t love a little candy? Think rock candy, gummy bears, and Skittles! Here’s a simple mocktail for the littles in your crowd. For the teens and young adults in the family, mocktails provide the same sophistication as cocktails but without the booze. These Frost Bite Mocktails are a festive, fruity, and fresh drink that teens will love. Ever wonder how you’re going to pass the time from hour to hour with the kids? They get tired and distracted easily, so here are a few great activities for kids of all ages to enjoy and to keep the evening fun moving along. Set up stations around the house for these activities and not only will time fly by, but everyone will have a ball! Countdown Goodie Bags: Put a little suspense and excitement into the night by adding New Year’s Eve countdown bags. The bags can be given away at any time you’d like — just end at midnight with a bag filled with noisemakers and confetti. This site comes complete with clock printables and ideas for different age groups from toddlers to young adults. Games & Goodie Boxes: This site provides ideas and trivia links to take the Goodie Bags up a notch and include games and prizes for each hour of your party. Very fun for Teens and up – a real crowd pleaser! Chalkboard Party Hats: No New Year’s celebration would be complete without some festive head adornment! Setting aside a table for your kids to mingle around and customize their party hats will generate a lot of fun and laughter. Here’s a way for the kids to show a little personality and customize their hat with a festive message for the evening…chalkboard hats! 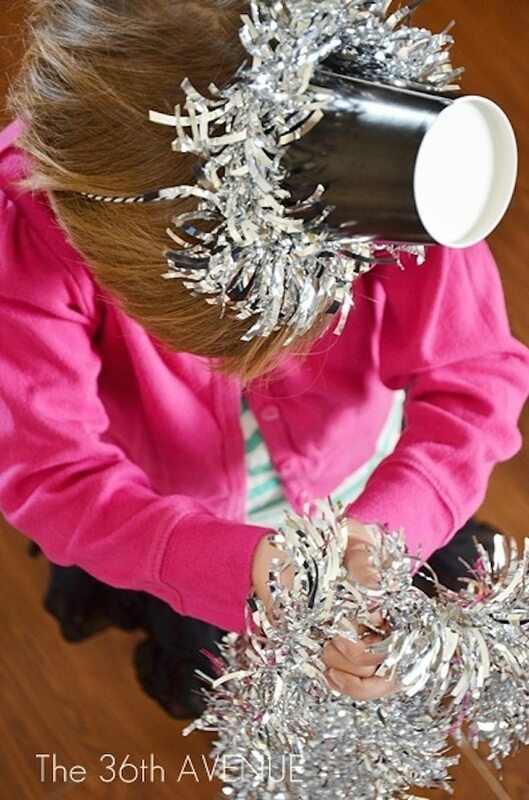 Tinsel Party Hats: Here’s another kid friendly and oh-so-NYE party hat to try. Simply load the table up with the materials shown and voila! Who doesn’t love a little sparkle? Recycled Party Hats: For a family crafting project or for those creative kids in the bunch, here’s an amazing way to recycle old party hats and embellish them for a super festive NYE party hat. Balloon Animals: You’ll be amazed at how easy it is to twist those skinny balloons into amazing animals and party hats. This kit provides the balloons, the pump and frustration-free instructions for hours of entertainment. Shop for this balloon animal kit and more party essentials and save with Amazon promo codes! If you’re celebrating with a crowd, don’t let guests leave empty handed. 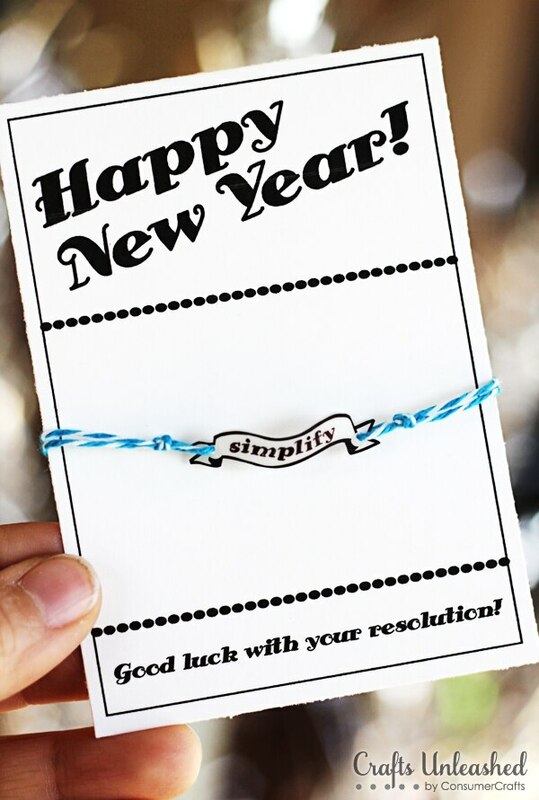 Especially fun for the teens in your crowd, make these resolution bracelets to remind them what they hope to change in the New Year. 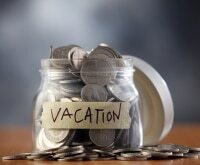 You can either make them ahead of time or use them as an activity to complete during the evening. 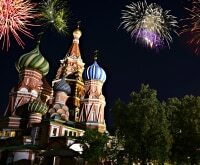 New Year’s Eve may not be the party it once was now that you’ve got little ones underfoot. Similarly, you may be tired of seeing your teens with their heads buried in their smartphones 24/7. 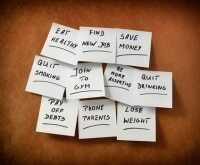 No matter what your family situation, it doesn’t mean you have to forfeit all the fun for New Year’s! 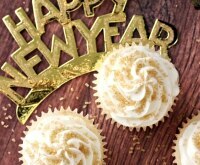 With a bit of planning and a little effort you can have a memorable, kid-friendly New Year’s Eve that will make everyone happy. 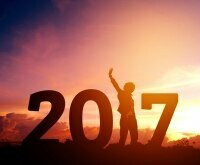 I hope my six awesome ideas help you ring in the New Year, create new memories, and bring fun family celebrations in with a smile.